Home / Interested in becoming a Volunteer? 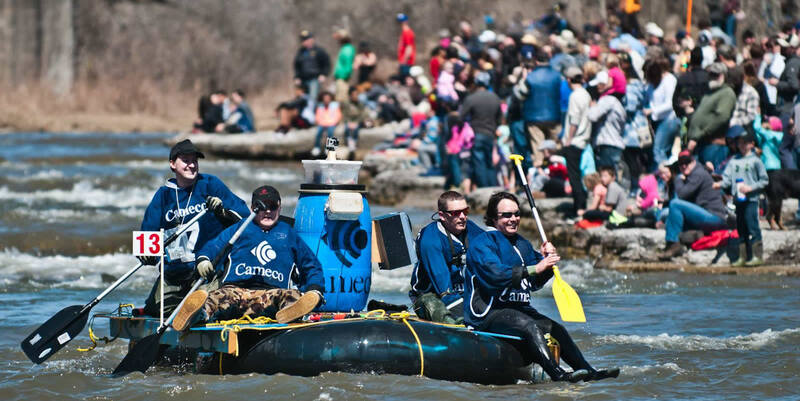 An event like Float Your Fanny needs lots of crew to help make it a success! Think you have something to offer or just want to come and have some fun on the riverbank. Please take a moment to complete the online form, leave us your contact details and we will be in touch. Kids Zone – help kids build ‘raft craft’ and see if it floats, or help them with one of the other activities in the Kid Zone Tent. Registration/Accreditation – It takes many volunteers to register and ensure that all participants have signed the required forms and all have life jackets before they hit the river. There are two locations that require volunteers – Canton and Sylvan Glen. Fannyville Set-up – If you have some free time the week leading up to the event we would welcome a hand setting up Fannyville. T-Shirt Sales – Can you spare an hour or so to help at the T-Shirt sales tent. Surveys – Are you outgoing and like meeting new people. It would be great to be able to have some volunteers up and down the riverbank asking spectators a couple demographic questions. These surveys help us with grant applications and sponsorship requests. Marshals – Not sure what you want to do, but know you want to be apart of an awesome team. Then come on out on the day and we will put you to work, in any capacity we can.